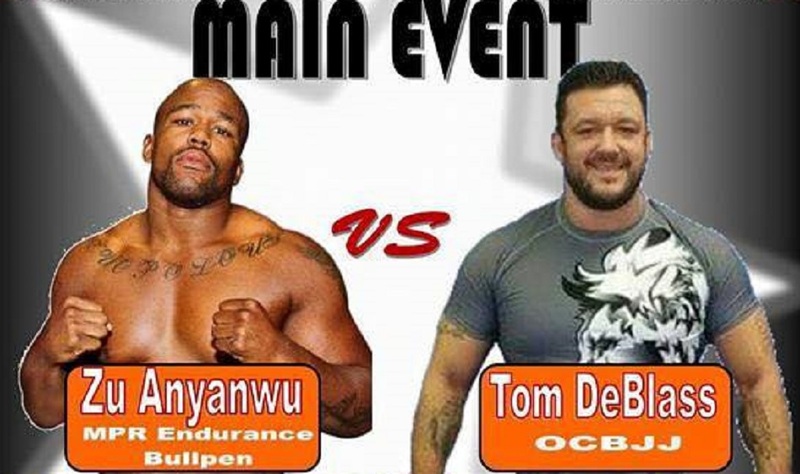 Current Cage Fury Fight Championships (CFFC) heavyweight champion, Zu Anyanwu, will step away from the cage, October 24, however the move is not permanent. 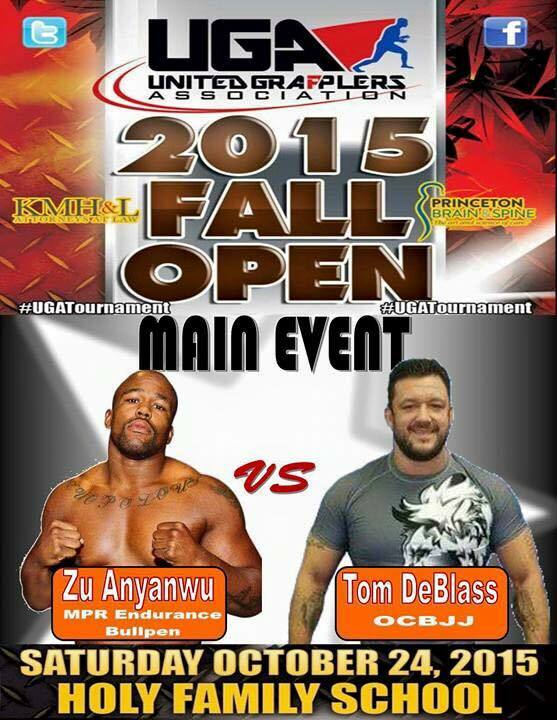 Anyanwu (9-3) will locks horns with jiu-jitsu phenom Tom DeBlass (9-2) at the United Grapplers Association 2015 Fall Open. DeBlass, a Ricardo Almeida BJJ black belt, retired from mixed martial arts in 2014 to devote more time to his craft of jiu-jitsu and focus efforts on his school, Ocean County Brazilian-Jiu Jitsu. He is a UFC, Bellator and Ring of Combat Veteran. Anyanwu lost the CFFC heavyweight title last November to Plinio Cruz via unanimous decision, only to bounce back with a win over Lewis Rumsey, followed by a Split Decision victory in a rematch against Cruz in July.